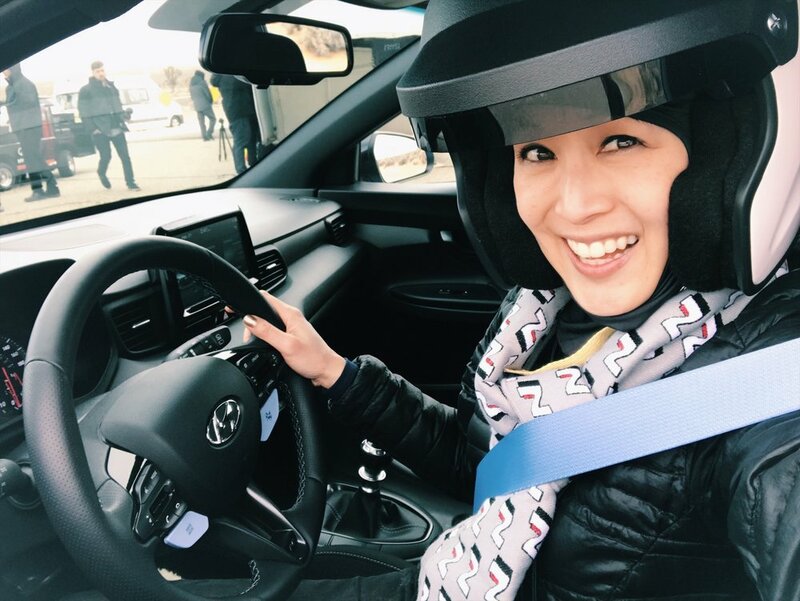 Here’s a video so you can see what I did at the Veloster N Driving Academy. Enjoy! 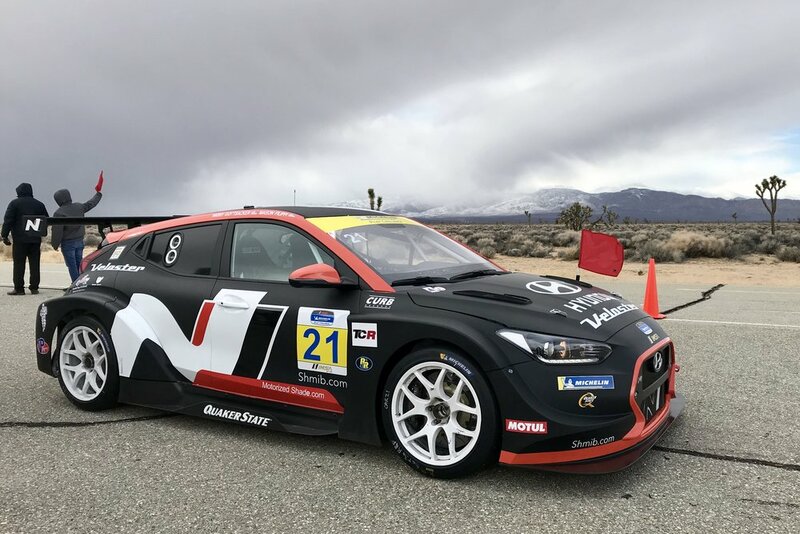 Hyundai invited me to their proving grounds in California to drive the 2019 Hyundai Veloster N and the Elantra GT N Line. I had such a blast! I test drove the Veloster N on a timed autocross course and the handling circuit. We were also the first media to drive the 2019 Elantra GT N Line (autocross and street drive). I’ve been super excited to drive the N because of my love for FWD hot hatches and rally cars, but at the same time I was hesitant. Looking at the specs, I was afraid that that I would love it more than my Fiesta ST. 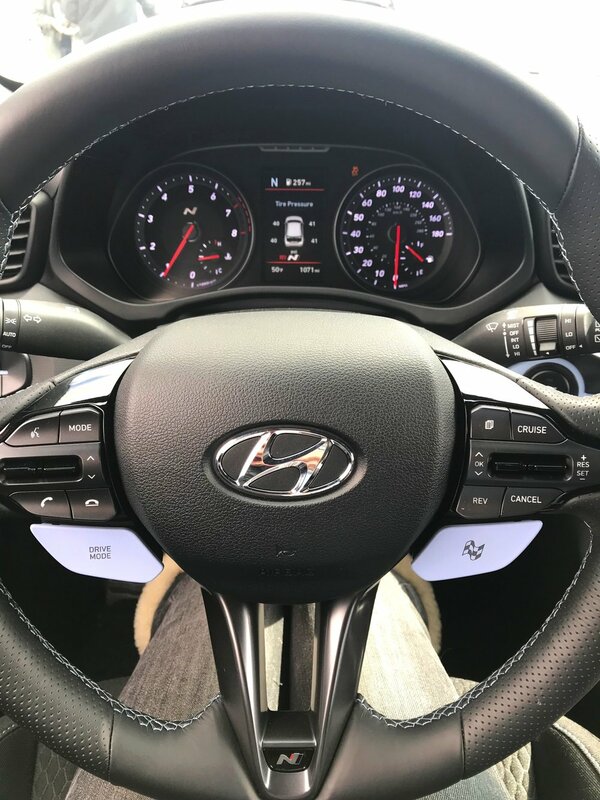 Overall I loved driving the Veloster N with the performance package, which has an inline 4-cylinder with a 2.0 L turbo making 275 horsepower and 260 lb-ft torque, 6-speed manual, electronically controlled LSD. It has good acceleration without torque steer and I was very impressed with the handling (which is very important to me). I liked the amount of feedback it gave me on track that made me feel connected with the car & and driving surface immediately. I drove it in N mode (which is completely customizable to the driver) with ESC both off in sport mode. It always felt very stable while taking corners at speed & the 19” Pirelli P Zero tires that are custom tuned for the Veloster N, made it easy to quickly adjust my driving to lay down the fastest time of the day on my second lap of the autocross course. I’m honestly very impressed with the Veloster N because all of the above makes it lively and fun to drive...which I feel is lacking in most new cars I drive these days. I love the bold design of the N in Performance Blue with the red accents which screams hot hatch. The biggest question is that everyone always asks, which my friends in the industry have already asked...would I buy it? The answer is YES, I would...and if you know me, I’ve only said that about a few vehicles in the last decade...I base it on performance, driveability, quality, excitement of driving (huge for me) and value. For just under $30K it’s a complete package stock with the best powertrain warranty in the industry 10 yr / 100K miles, so you can’t go wrong.